George Saward was born in the year 1822 in the City of London, probably to a lawyer’s family. 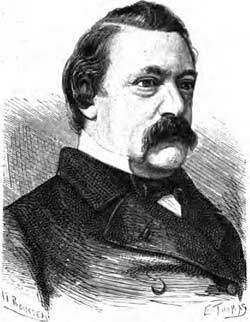 He first comes to notice as secretary to the Boston, Stamford & Birmingham Railway in the Railway Mania year of 1846. It was intended to construct lines from Birmingham to Boston and Wisbech in the east of England with a branch to Market Harborough, 87 miles. Only 40 miles in the eastern counties were actually constructed and, in 1849, the company’s lines were leased to the Great Northern Railway Company. Becoming redundant in 1850 Saward immediately became secretary and manager to the newly formed British Electric Telegraph Company, the first challenge to the monopoly of the original Electric Telegraph Company of 1846. He was to be the managing spine of this and its domestic successors, as well as to the first intercontinental telegraph cable. Once the patent monopoly expired in 1851 the British Electric Telegraph Company began the slow construction of a regional network in the north-west of England, centred on Manchester. It copied the business model of the original company in erecting overhead wires alongside of railways. Saward occupied a small office at the Royal Exchange, effectively an office block, in the City of London, but the company had no circuits to the capital. Under Saward the British company’s progress was slow but sure, consolidating its northern network and extending it into Scotland. In July 1853 it acquired the right by Royal Charter to lay an underwater cable from Britain to Ireland, which it successfully accomplished on June 9, 1854. In the following month, July 1854, it began to cooperate with and then, in September, acquired the southern circuits of the European Telegraph Company connecting it with Birmingham, London and the circuits of the Submarine Telegraph Company to France and Belgium. Saward negotiated this merger, remarkable as being the first in British telecommunications history. The British Telegraph Company, as the merged concern was known, continued under the management of George Saward. The Atlantic Telegraph Company was projected on November 6, 1856, intending to construct a single submarine circuit between the west of Ireland and Newfoundland in America. It was formed by elements of the British company and American investors. George Saward was appointed Secretary to the company on that day. This was a completely different business environment to that which he was used. It was a speculative concern, in fact a giant speculation, entirely in the public gaze, subject to immense press investigation and criticism. Saward became the main point of contact for press and public alike, fielding their enquiries, as well as marshalling the board, shareholders and staff into some sort of effective organisation. This latter was a difficult task, not least because of the split between British and American interests, and the clashes of personalities among the four promoters, Cyrus Field, a New York paper merchant, John Watkins Brett, the father of submarine telegraphy, Charles Bright, the young engineer from the Magnetic Telegraph Company, and E O W Whitehouse, the company’s electrician, who claimed to have discovered the answer to “retardation” in working long lines of underwater cable. His was not an easy job. Then in April 1857 the British Telegraph Company merged with the English & Irish Telegraph Company to create a national competitor to the old Electric Telegraph Company. It was opportune for Saward to hand over his domestic responsibilities to others and concentrate on the Great Cable. As is well-known the Atlantic Telegraph Company attempted to lay its cable in 1857 and 1858. The latter cable was completed but was to fail electrically after only a few weeks. The projectors and the board of directors fell apart in the repercussions, leaving George Saward to maintain its existence and to organise the settlement of its massive debts. He did this for another eight years, through government enquiries – in which he was a major expert witness – and the American War, writing and publishing his thoughts on the cable. By 1865 the Atlantic Telegraph Company had been revived under Saward’s administration, new directors attracted, inspired by the determined personality of Cyrus Field, and new capital was raised. There was a brief pause when the first attempt to lay the cable in 1865 failed, but confidence was such that a new Anglo-American Telegraph Company raised even more capital for the project and in the following summer two cables were successfully completed. The Anglo company absorbed the operational obligations of the Atlantic Telegraph Company after 1866 and Saward’s role diminished considerably. It is likely that George Saward was mentally and physically exhausted by his exertions administering and defending the Atlantic company. By 1870 he was out-of-place, and devoted his time then to writing his telegraphic memoirs, eventually lending his name and capital to the promotion of the St Day Fire Brick & China Clay Company. He died only a few years later in 1873. He was given generous and well-earned tributes for many years after by Charles Bright, the eminent cable engineer, and by the Society of Telegraph Engineers, in fact by all of his peers. George Saward lived for almost all of his working life very modestly in Huntingdon Street, Islington – convenient, even in 1850, for the trains of the North London Railway into the City of London. He married in 1850 and had three surviving children, all daughters. In the 1870s he moved his family to Camberwell, where he died in 1873. His widow published his memoir privately in 1878.